Standing out in the curated box business is getting harder and harder. Recent research from McKinsey & Co. says that while 15% of consumers have signed up with hundreds of D2C companies, they reject them even faster, with typical churn rates of 40%. But Miki Berardelli, CEO of Kidbox, says her company is on track to reach profitability this year. And while she credits its success to agility and AI learning, as do many competitors, she says its key ingredient is building a community that connects to a larger mission. 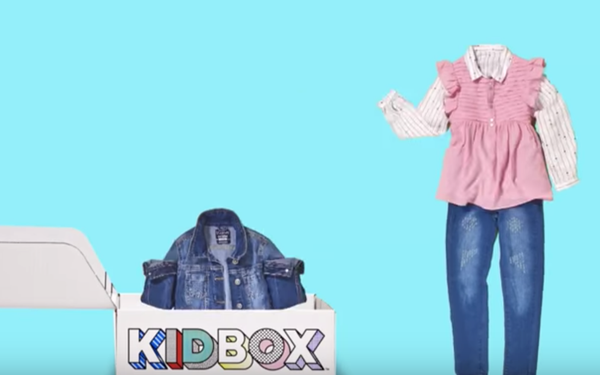 Marketing Daily: How does Kidbox fit the box-o-sphere? Miki Berardelli: We don’t see ourselves as a box company at all. Technically, we’re not a subscription business. We offer six core seasonal boxes for kids, newborn to age 14. You sign up for each box. Shipping is free. So are returns. There’s no stylist fee. So all the control is in [consumers'] hands. But most importantly, we started with a social mission, with purchases generating donations of new clothing to children in distress. With that “look good, do good” approach, we’ve donated $12.5 million in new clothing since we started. That can be kids in foster care, military families, those in environmental disaster areas. MD: What’s in your boxes? Berardelli: Each box has six or seven items, and the idea is to try before you buy. We now have 200 brands we’re working with, and our own exclusive brands represent about 15% to 20% of the assortment. Customers have seven days to decide, and if they choose to keep the entire box, we ask them where they’d like us to make a clothing donation. And we keep the items at $15 and under, which seems to be the price most parents expect to pay. MD: What’s your marketing strategy? Berardelli: We’ve done TV and direct mail and we’ll have a new campaign ready in the first half of this year. But the brand is inherently social. Kids love to open the boxes, and parents often post videos of the unboxing. These mini fashion shows turn their living rooms into dressing rooms. So Facebook and Instagram continue to be very important -- it’s how we build the community. Berardelli: We are trying to create a safe and vibrant community for children. We’re calling for nominations right now for kids for our third board of directors, and we’ve got a program called “Little Leaders.” The moms in our community are looking for pure-hearted ways to give back. And we’re also involved in building a safe mobile environment for kids. MD: What are your growth plans? Berardelli: We recently raised $15 million, bringing the total to $28 million. And we expect to be profitable this year. And while we’re not ready to reveal them yet, we’re working on some strategic partnerships with like-minded brands. MD: Do you worry, as others do, that consumers will get bored with curated boxes in general -- or Kidbox specifically? Berardelli: No. When people talk about a bubble in this kind of business, they’re lumping a lot of companies together. But the reason this business model works is because of seismic shifts in the way people shop. Parents are more time-starved than ever. Shopping for children is more laborious. Big brand retailers have been closing their doors. This kind of direct shopping is the new mall. The need for convenience isn’t going away.